the in-game map was recently updated with a fresh OSM data set, roughly dated mid December. We are still investigating the exact date, but it seems that changes made before December 15 are now reflected in the game (at least according to this reddit thread). Left: before update, right: after update. Differences include more parks and object outlines. If you’re wondering why this is a big deal and why there is a post about it on the Hub, let us remind you about the influence of OpenStreetMap data on the in-game behaviour. Everything from Pokémon spawns, nests, EX raids and even potentially in-game biomes is influenced by the data set that OSM provides. Most notably, areas marked as parks and similar OSM tags are used in several different scenarios. Alongside S2 cells, OSM data is the second pillar of Pokémon GO’s “spawn and map” system, enabling Niantic to tap into rich geo-contextual data and create meaningful encounters. Ever wondered how the game knows that there’s a river / lake / ocean there? OSM data. Ever wondered why parks often have nests, while your residential block doesn’t? OSM data. What does this mean for the EX Raid system and our triggering guide? Unfortunately, at this moment we don’t know if Niantic changed the date used for EX-raid eligibility. Therefor, we will not be updating our Overpass Turbo query with a new date until we are completely certain that the EX data set date has changed. 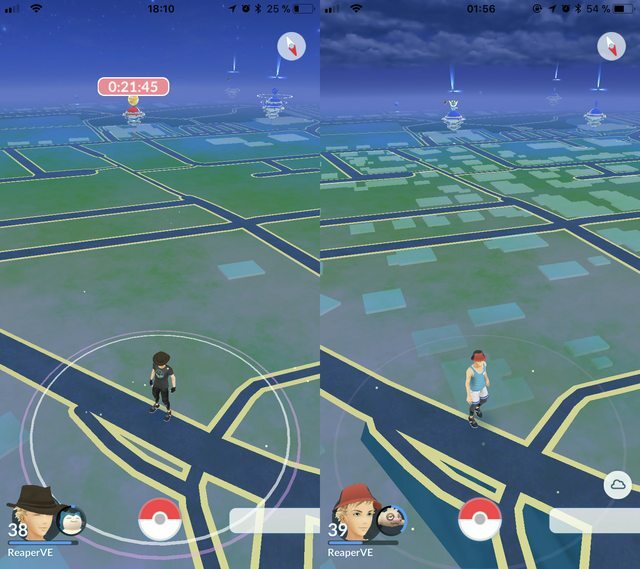 The post In-game map updated with new OpenStreetMap data from December 2017 appeared first on Pokemon GO Hub.